Mercedes-Benz E-Class All-Terrain Performance, Engine, Ride, Handling | What Car? 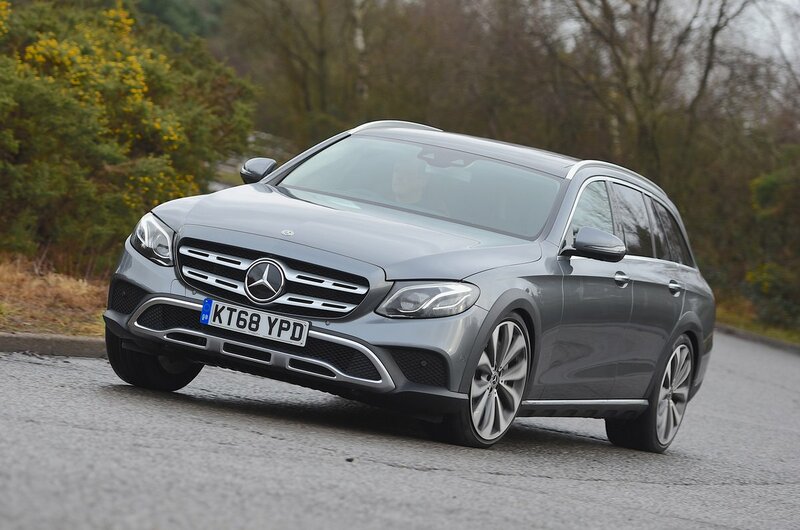 Like its rivals, the E-Class All-Terrain has been designed to be more cosseting and easygoing than the conventional estate on which it’s based, while also providing a smattering of off-road ability. It’s certainly comfortable on smooth but undulating surfaces, wafting along in a relaxed manner. The same can’t be said for rough urban roads, though; it thumps over bumps and potholes much more than you might expect. Still, despite its soft springing, body lean is kept well in check if you hustle the All-Terrain down a winding road. 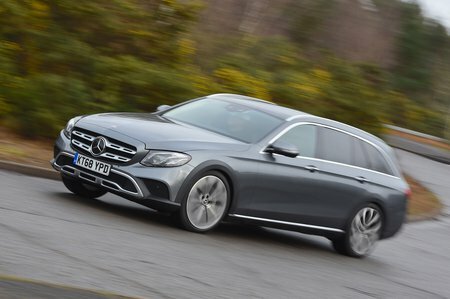 Even when driven briskly in Comfort mode, you’ll be hard pushed to notice a great deal of difference compared with the regular E-Class Estate. Switching to Sport adds extra weight to the steering, sharpens the accelerator’s response and helps the car turn in to corners more keenly without being overly firm everywhere else. In truth, though, the steering feels reassuringly precise, no matter which mode you’re driving in. Its party-piece is an extra mode – appropriately called All-Terrain – that raises the car up by 20mm at speeds below 20mph and allows it to take rock-strewn inclines in its stride. Okay, a full-on SUV would cope even better, but there’s no doubt that the All-Terrain has enough mud-plugging ability for the vast majority of buyers. 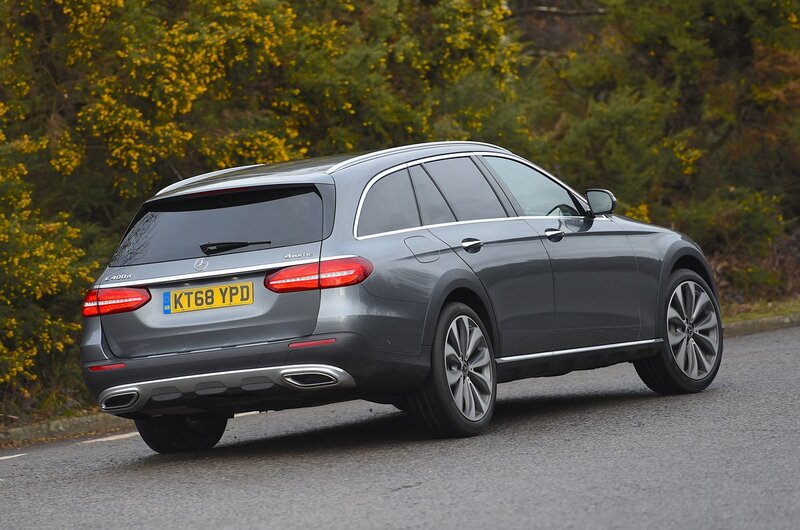 However, it’s the All-Terrain’s E400 diesel engine that’s most impressive. Not only does it provide the kind of low-end grunt that equates to effortless pace whether you’re in town or on the motorway, but it stays remarkably smooth and quiet, even when you’re accelerating hard.